My daughter’s friend found this cute article and she shared it with me the other day. Oh my gosh, I just had to draw this squirrel! Sometimes inspiration arrives when you least expect it. Hope it brings a smile to your Thursday. Do you hear the music? The band’s warming up! Happy almost weekend to you! Enjoy. And smiles to start the day. OMG!! How cute is that?!!??!!! This is so your sweet spot, Laura! Your drawings……. especially what you capture in the eyes……. STOPS ME IN MY TRACKS – E V E R Y time! Bravo! And how fun that this little guy is unexpectedly waterskiing! teeheehee! Smiles for a Thursday – almost Friday!!! YAY! Haha thank you! Oh, I couldn’t resist this one. I tried to draw the awesome squirrel you posted the other day. I think I tried twice actually and I wasn’t happy with either one! Loved your photo though! I may give him another try. I do love wildlife. Thanks for your kind comment, Jodi. Happy almost weekend! 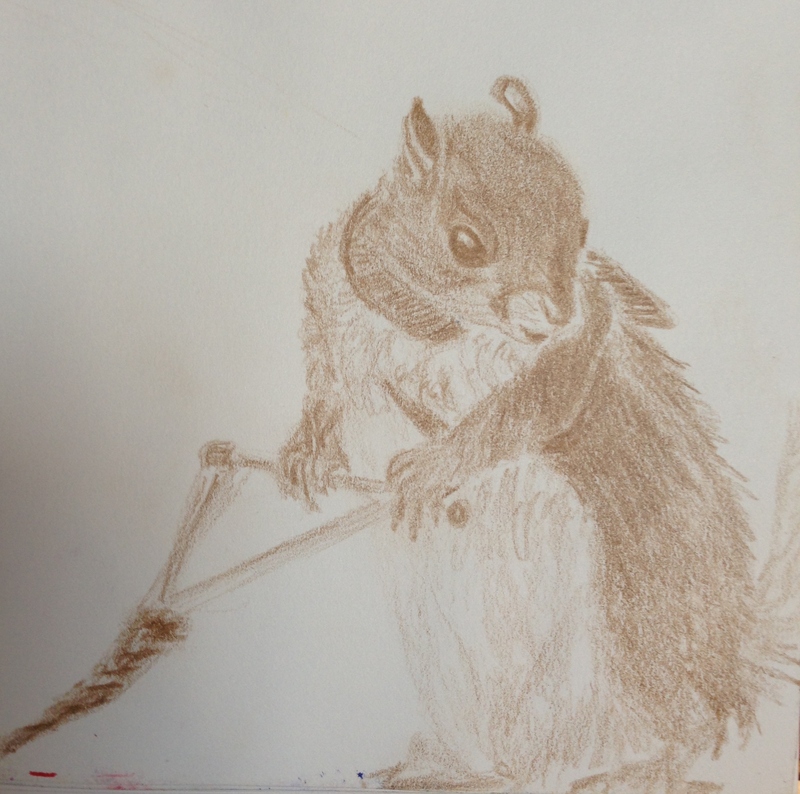 One can never go wrong drawing squirrels, in my opinion (as you probably already know). 😉 I’ve seen that water-skiing squirrel before. Nice job on drawing it! Thanks, Teresa, I’m glad you enjoyed it! Now this is an image you don’t see everyday! Very funny and well done! Lol, I’m working on Mondays drawings now! Thanks! Have a good weekend. Water skiing squirrels. Love it! :-D! You were not joking! Great drawing :-). Thanks, Lance, I so appreciate that kind comment! :)) Glad you enjoyed this! There are apparently several stand-ins, and she’s done movies too. :)) I’m so glad you like it Jill. :))) It was so much fun to draw this. When I’m looking through the reader and see your drawings or paintings, I know that they are yours; your style comes through. Thanks MJ!! I love amazing photos that just demand to be drawn.